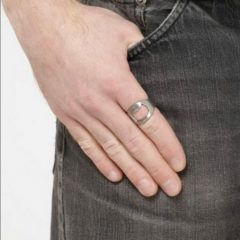 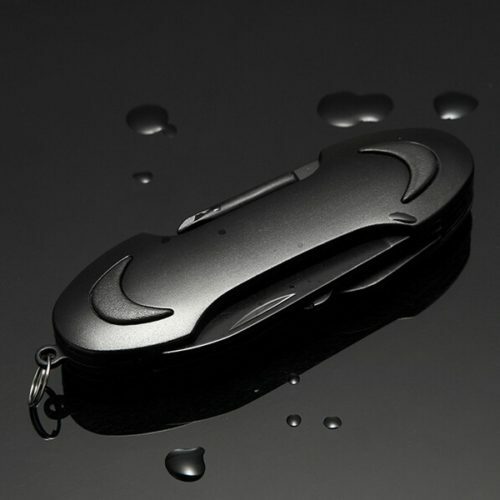 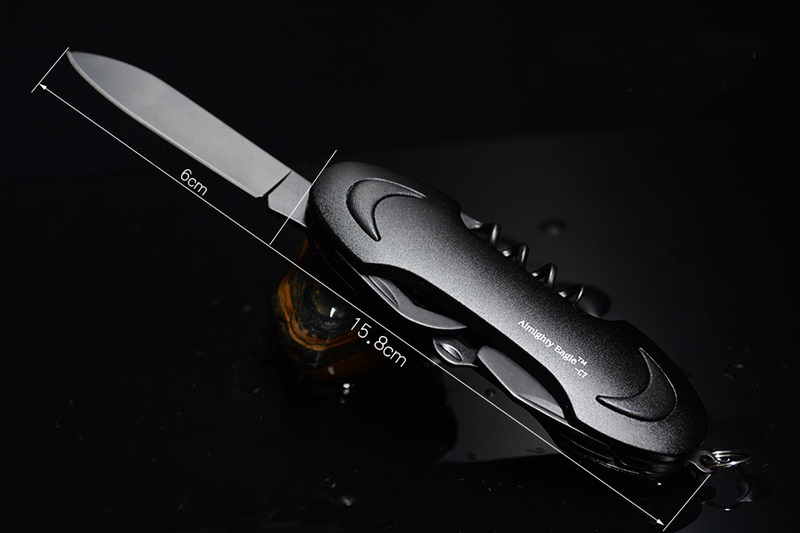 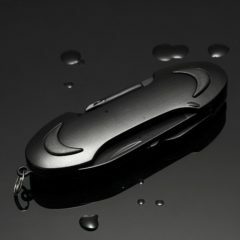 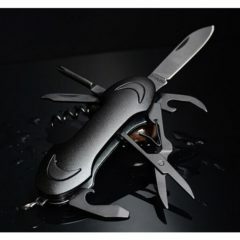 Black Oxide Stainless Steel For Maximum Durability And Maximum Coolness Factor. 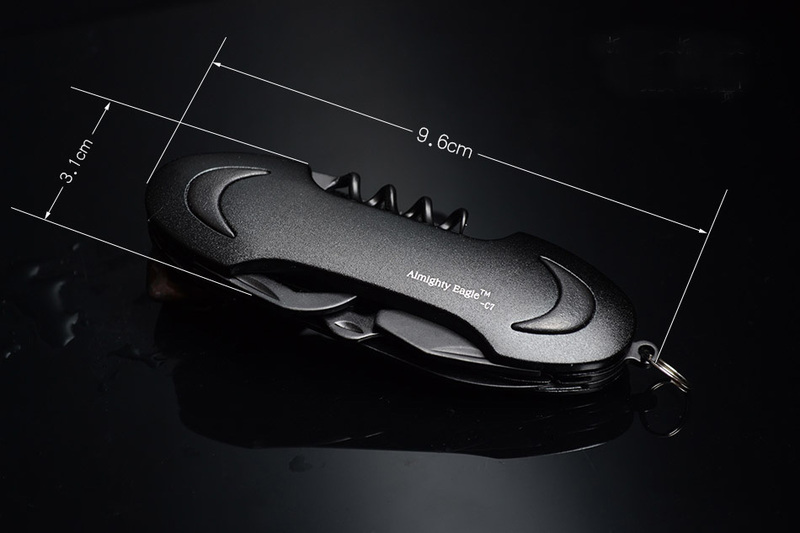 Convenient scissors, bottle opener, can opener, nail file, nail cleaner, corkscrew & key ring. 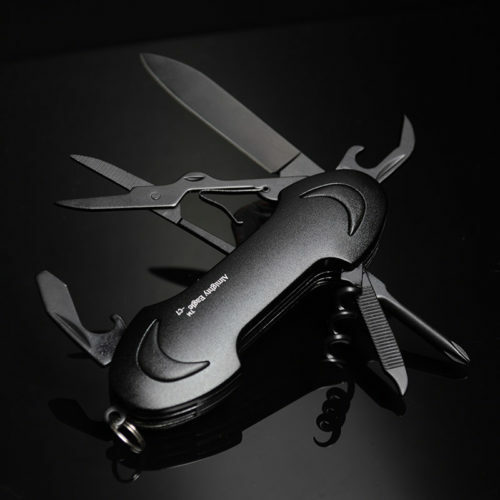 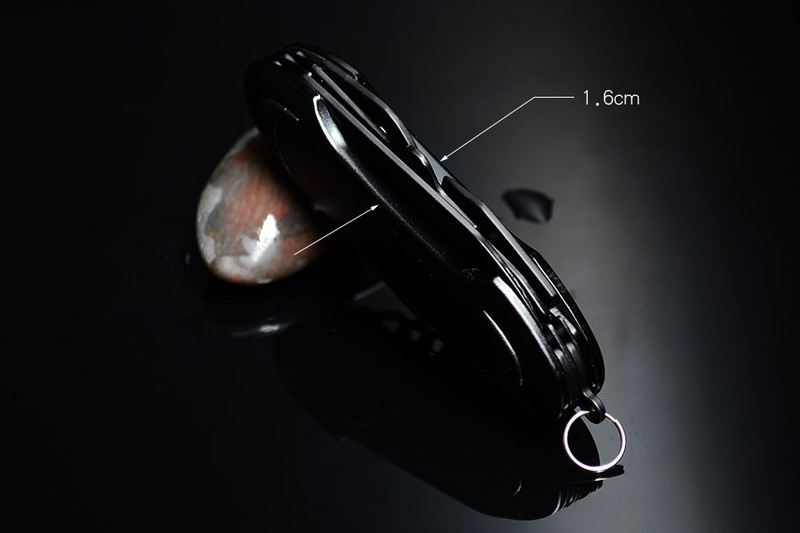 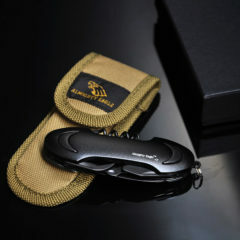 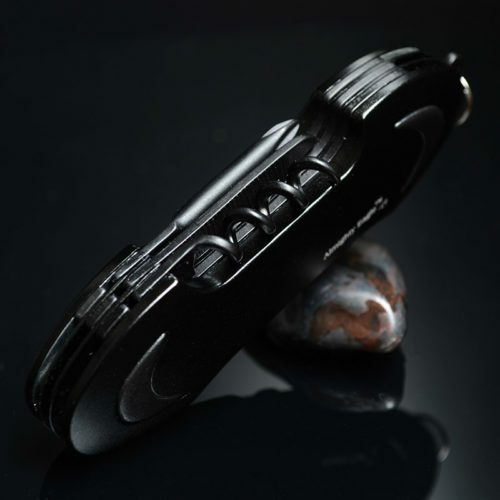 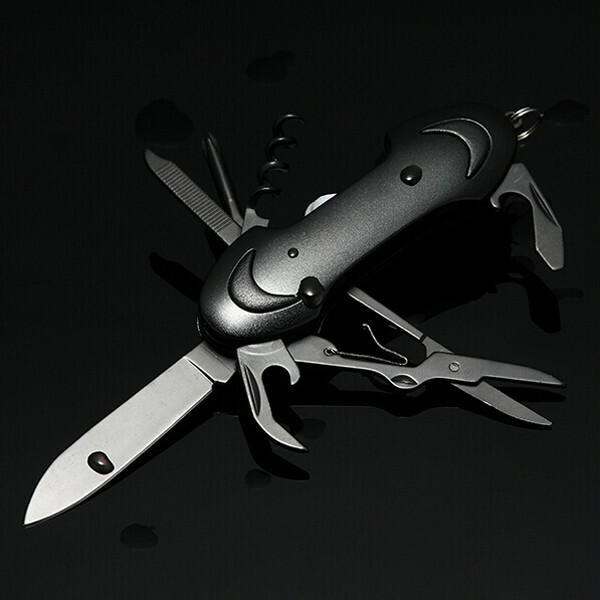 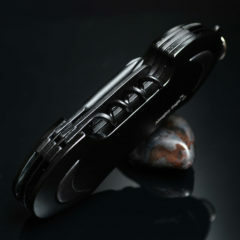 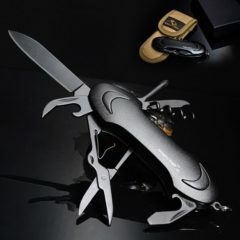 Stylish & tough yet lightweight, this multi-function tool is perfect for yourself or as a gift!